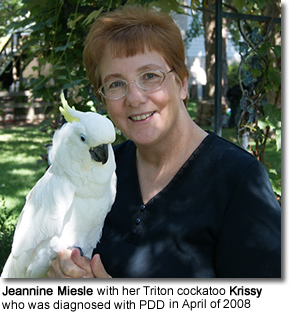 When psittacines and other birds were brought to European and North American countries from Africa, Asia, South America and Australia during the bird craze of the 1970’s and 1980’s, few people considered the diseases these birds might bring with them. People’s demand for these birds fueled an industry which supplied them. The diverse species of birds were quarantined next to each other and then sold to breeders and dealers. The constant movement of birds from differing geographic regions exposed them to diseases not found in their natural environments, making them vulnerable to a wide variety of pathogens. Diseases caused by previously unknown bacteria, fungi, parasites, and viruses had then to be dealt with by the avian veterinary community. As researchers identified the pathogens, they developed assays, tests and treatments, and the number and severity of the diseases caused by these pathogens began to lessen, so that now there are fewer cases of some diseases than were seen in the earlier years. However, many of these diseases have been passed down through generations of breeding, increasing the numbers seen. Viruses have mutated, creating difficulty in combating them. Treatment plans, vaccinations or preventative measures have been discovered for some of these, but they and others are still being researched with the goal of eradicating them. The past few years have seen a tremendous increase in the knowledge of the viral diseases of birds, thanks to new molecular-based and traditional diagnostic tools. Some of these diseases have been eliminated or at least managed; however, many continue to jeopardize the health of the captive and pet bird populations. To understand the effects of these viruses on the birds, it would be beneficial to start with some information about viruses in general. 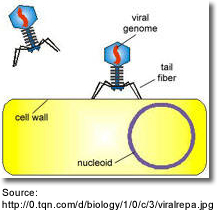 Viruses are infectious agents which cannot replicate outside a host cell. A virus must attach to and penetrate a cell membrane, release its genetic material and replicate within the co-opted cell. It must evade the organism’s immune systems long enough to replicate and release itself from the host cell. Without a host cell, viruses cannot carry out their life-sustaining functions or reproduce. They are not plants, animals or bacteria. They are parasites which have likely existed prior to the differentiation of the major kingdoms of life. Biologists currently consider viruses to inhabit a gray area between life and non-life. Viruses are both acellular (a tissue or organism that lacks distinct cells) and intracellular (lives within a host cell) parasites. They possess no cells of their own, and can only function by invading a host cell. Obligate intracellular parasites include protozoa, bacteria and viruses. The acellular state consists of protein coat plus nucleic acid (RNA or DNA). 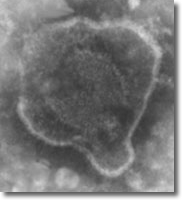 A single, complete, fully developed virus particle independent of a host cell is called a virion. Some bacterial viruses, such as the T4 bacteriophage, infect the host in an unusual way. The virus possesses a “tail” which attaches to the surface with “pins.” As the tail contracts, its plug penetrates the cell wall and underlying membrane, injecting the viral nucleic acids into the cell. Adsorption involves the binding of attachment sites on the viral surface with receptor sites on the host cell’s cytoplasmic membrane. 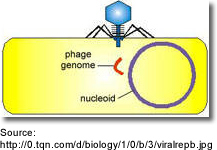 A bacteriophage is a virus that infects bacteria and may integrate into the genetic material of its host cell. 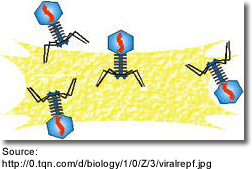 Bacteriophages are used as vectors in gene cloning and have other biotechnological and antibacterial uses. Bacteriophages have even been used to treat diseases. THERE ARE TWO TYPES OF VIRUSES: RNA AND DNA. 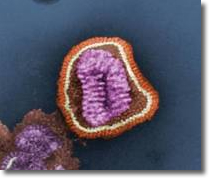 All viruses contain either RNA or DNA surrounded by a protective protein shell called a capsid.The genetic material in a virus may take one of four forms: a double strand of DNA, a single strand of DNA, a double strand of RNA, or a single strand of RNA.The size of the genetic material of viruses is often quite small. DNA, deoxyribonucleic acid, is the major storage for genetic codes that contain information for the functioning and advancement of all living organisms. It is found in the nucleus of a cell. The sugar present in DNA is deoxyribose, and usually it comes with a pair of molecules known as “double-stranded molecules,” with long nucleotide chains. (Nucleotide refers to the structural unit of nucleic acids.) These double-stranded molecules have narrow channels that make it difficult for destructive enzymes to penetrate them. In DNA viruses, viral DNA integrates, or combines with, the host by instilling the genetic code specifically into the membrane of the host DNA. RNA, ribonucleic acid, assists the DNA in duplicating the cells. Lysis occurs (meaning the host cells are destroyed by the disruption of the bounding membrane), allowing the cell contents to escape. With the formation of the new viruses, the host cell membrane separates, and the new viruses are released. Once a virus infects its host, and the host’s cells produce the necessary components for reproduction, the viral capsid is assembled without the aid of enzymes. This happens immediately. A virus can only infect a limited number of hosts. Viruses may infect any type of cell, including animal cells, plant cells and bacterial cells. Adsorption - virus binds to the host cell.Penetration - virus injects its genome into host cell.Viral Genome Replication - viral genome replicates using the host's cellular machinery.Assembly - viral components and enzymes are produced and begin to assemble.Maturation - viral components assemble and viruses fully develop.Release - newly produced viruses are expelled from the host cell. The Bacteriophage genome replicates using the bacterium's cellular components. A Bacteriophage enzyme breaks down the bacterial cell wall, causing the bacterium to split open.